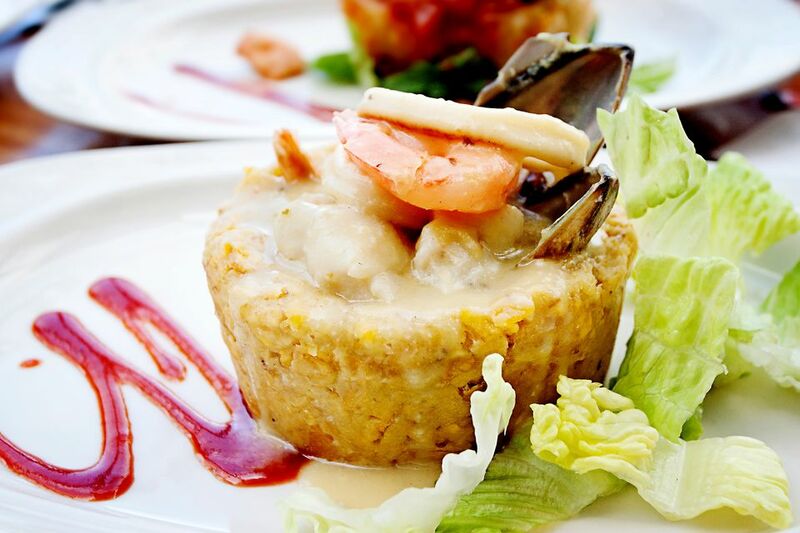 It's no surprise that Puerto Rico is known for its gastronomy. With some of the premier food festivals in the region attracting some of the best chefs in the world, the recognition of organizations like the James Beard Foundation, and superstar cooks opening up shop around the island, it's easy to see why so many people leave here raving about the food. But you don't have to go to the ritziest eateries or hang with the culinary big boys to appreciate the island's culinary offerings. Actually, we've always gravitated toward humble eateries, kiosks and street food when we visit Puerto Rico. (Not that we would refuse a dinner at a world-class 'Rican restaurant like Pikayo.) But you'll find that even the humblest restaurant and stall in Puerto Rico can offer a tasty meal. And these food and drink tours will take you to a mix of eateries to give you a feel for what island cooking is all about. Leslie Padró's tour is a wonderful blend of culture, history, and food. What we love about it is that you don't simply head to a restaurant and sit through a four-course meal while your guide explains each dish. At Flavors of San Juan, you get to experience a four-course meal at four different restaurants. Leslie will take you to the streets of Old San Juan, stopping at pre-determined eateries where you will taste Puerto Rican staples like mofongo, and Old World imports like chorizo. Along the way, Leslie offers fun and fascinating insights into Puerto Rico's history and culture and will take you to popular landmarks in the city. Leslie also offers a few other culinary tours. You can tour La Plaza del Mercado, one of our favorite spots in the city. Finally, Leslie offers culinary courses in Old San Juan. You can learn how to make mofongo from a Puerto Rican chef or make a rum cocktail. Paulina knows the food scene in Puerto Rico, as she organized Puerto Rico's first Restaurant Week. We were happy to hear about her latest food venture, Spoon Food Tours. Spoon features a few different tours. The Old San Juan Walk & Taste is a morning excursion into Old San Juan, where you'll learn about the history, culture, and architecture of the walled city and sample local coffee, pastries, frozen yogurt, and a finale of sangria and fritters. Spoon also offers a San Juan Drive Around which takes you around San Juan, with stops at blue-collar Loíza Street for local flavors like arepas, empanadillas, and taquitos; the beach at Piñones for mofongo and rice & beans; and La Placita in Santurce for a tour of the market, a cigar rolling demonstration and a restaurant for flan and coffee. Finally, the Gourmet Gastro takes place during the evening and visits some of the best restaurants in the foodie neighborhoods of Santurce and Condado. You stop at three outstanding restaurants where you meal is paired with liquor. We've been on Debbie's Night Tales in San Juan Tour and was there when she first put together Spirits of Puerto Rico. It's changed a bit since then, and now the experience is a meal and rum tasting in a typical Puerto Rican home setting. Debbie and her team are seasoned guides who know the history of the island as few others do, and their tales are usually highly entertaining. Over the course of the meal, you'll get to sample between 8 and 10 rums and prepare your very own rum cocktails. Debbie also conducts a very special Thanksgiving tour that will take you to the countryside, to Guavate, the home of lechón, or roast suckling pig. If you've never been to Guavate or tried this Puerto Rican specialty, there's no better place for lechón.